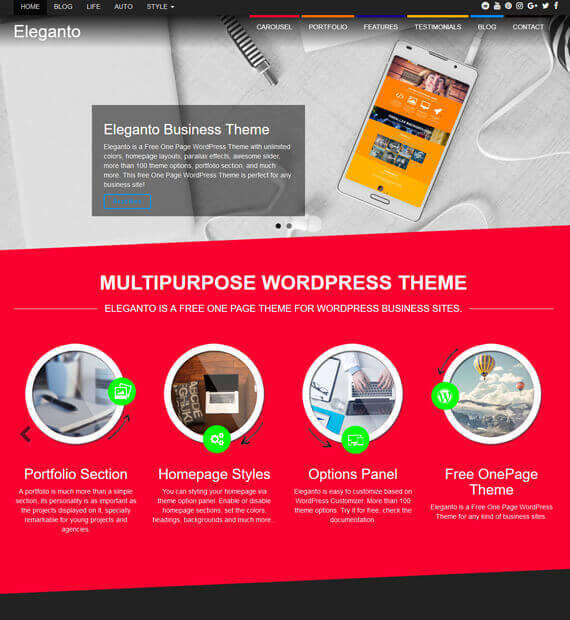 As the name says it all, Eleganto is an elegant WordPress theme best-suited for business and corporate sites. With the stunning parallax effect as well as awesome animations, this is one theme that definitely takes your site to the next level. Fully responsive and retina ready, the users will have no difficulty reaching your sites best no matter what device they use. The One Page layout design further adds to the elegance of this beautiful theme.